This report was commissioned by the Nuffield Council on Bioethics (NCoB) and was jointly funded by the Arts and Humanities Research Council (AHRC) and the Nuffield Foundation. The award was managed by the Economic and Social Research Council on behalf of the partner organisations, and some additional funding was made available by NCoB. 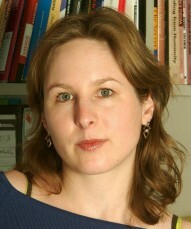 For the duration of six months in 2011, Professor Barbara Prainsack was the NCoB Solidarity Fellow, working closely with fellow author Dr Alena Buyx, Assistant Director of NCoB. The report, whilst funded jointly by the AHRC, the Nuffield Foundation and NCoB, does not necessarily express the views and opinions of these organisations; all views expressed are those of the authors, Professor Barbara Prainsack and Dr Alena Buyx. Professor Barbara Prainsack was awarded a six-month fellowship to explore the use of solidarity as an emerging concept in bioethics. Barbara is Professor of Sociology and Politics of Bioscience, and Deputy Director, Centre for Biomedicine & Society (CBAS), at Brunel University. She was previously Reader in Medicine, Science & Society at the King’s College’s Centre for Biomedicine & Society. She is a political scientist whose main research interest lies at the interface of science, politics, and society. She has worked on the governance of genomics in medicine and forensics. She also has significant policy experience, for example as a member of the National Bioethics Council in Austria and as the UK member of the European Co-operation in the field of Science and Technology (COST) Domain Committee for Individuals, Societies, Cultures and Health. Dr Alena Buyx oversaw the project on behalf of the Council and is a co-author of the report. Dr Buyx joined the Nuffield Council on Bioethics as Assistant Director in 2009, where she is part of the senior management team, responsible for organising working parties and representing the Council to public and professional bodies. 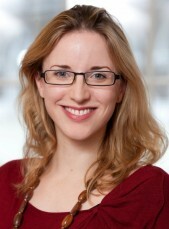 Alena managed the Council’s inquiry on biofuels, the findings of which were published in a report in April 2011. Prior to joining the Council, Alena worked at The Harvard Program in Ethics and Health at Harvard University, in the area of justice in health care and public health, particularly around personal responsibility and priority-setting. Alena has also worked at the Institute for Ethics, History and Philosophy of Medicine at University Hospital Muenster, Germany. She received her degree in medicine and a master’s degree in philosophy from the University of Muenster in 2005. Her master’s research focused on theories of just allocation in the health care system.